Content is king, goes the famous saying. Content is the way to communicate with your target audience groups and your success depends on the quality of the content and its delivery platforms. There are many options before the marketer to utilize content to engage the audience and deliver results. It includes blogging, emailing, websites, social media, short messaging services (SMS), YouTube, Twitter, and LinkedIn. The job of the content marketer is to create content that is appealing, keeps the reader engaged and leads to sales conversions for the company. The first step in the content creation process is to identify the target audience groups by defining their age group, genders, interests, hobbies, industry, buying profiles, income, and social status, educational levels and create a fictional description. This will enable the content creators to come up with the most appropriate content. Without a target audience to define, content creation would be difficult. Sometimes, it could be a single buyer persona or several. The ideal way to create such a persona is by talking to your sales personnel, customer database, and surveys. Content development is a laborious and sometimes expensive exercise but not all content can possibly be written by your company people. There are hundreds of sites and publications that may be developing content and publishing them. The process of identifying the appropriate content for our industry and sharing them or adding value to them is content curation. The content curation can be done in three ways- one is by assessing the competitors, exploring the content landscape and finding what interests the audience. The existing landscape can be surveyed using Google search and social media while interests can be judged by using the Google keyword planner tool to assess the popularity of keywords in your subject area. Online surveys may help to find out whether they feel there is sufficient information available on their problem areas or if not what specific questions need to be answered. Once the topics for curation have been identified it is better to think of value addition and make suitable changes wherever required. Adding your comments and sharing content through social media is a great way to stay connected with your target audience groups. The success of content marketing is very much dependent on the topic selection and giving proper headlines and subheads. It is better to work on broad topics and develop sub-themes on each of them. Within the topics, the writing strategy has to be evolved-whether it should be FAQs (Frequently Asked Questions) or ‘How to’ articles, opinion, data analysis, news analysis, trends, introducing and explaining concepts and so on. Headlines are the most visible face of an article or blog post. Therefore, proper attention should be given to the construction of headline, it should be appealing, attractive and hold readers attention and entice him to open the article. Question headlines are appealing as they tend to address a particular issue the readers may be facing, Headlines should be longer not short, should address the audience needs, appeal to their self-interest, or enable the reader to do something, For eg, how to better clean the spots on your clothes? How to save on A/c electricity consumption costs? 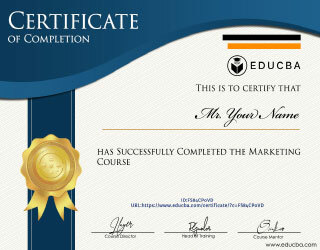 The content marketing exercise is not an academic effort or intended only for information purposes. It is vital to address an audience with the intention of making them your customers or clients. There must be definitive calls-for-action contained the content- either as Register, Subscribe, Download, Accept, Decline etc. The intention of content marketing is not to show the author’s English language writing skills but to address the needs of select target audience groups in simple and straightforward terms. As far as possible avoid long prose and address the reader directly. For eg. Do you know selecting the right air conditioner can help you save 30 percent on annual electricity charges? Did you know using a dishwasher can lower your water consumption by one-third apart from the freedom you get from detergent allergies? Content marketing is a multi-pronged strategy whereby companies need to use emails, newsletters, blogs, and websites to reach the target audience groups. 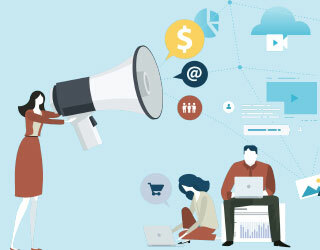 However, it is different from conventional advertising as the intention is to not to send sales messages but to address a particular need of the target audience presentation, create awareness, show the solutions and drive sales. In Blogging, the writer must express his opinions which the reader may or may not like. But by not expressing them they may not know you or hate you but not like you either. Emails should not become ‘sales emails’ in which case they may unsubscribe or not open it at all after seeing the subject line. Instead, focus on the informative element and give solutions to problems faced by the consumer. 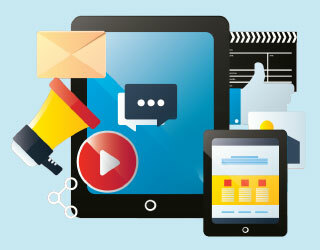 These days content becomes popular when it designed and presented in an appealing manner. Avoid clutter in web pages and email templates, it should be easily navigable with appropriate hyperlinks and call-to-action. It would be better to keep off pop-up ads, sidebars or opt-in forms. It pays to invest some time and money to create good-looking pages as they will increase readability and engagement. Good design also means having good photographs, infographics, and video to supplement the text. 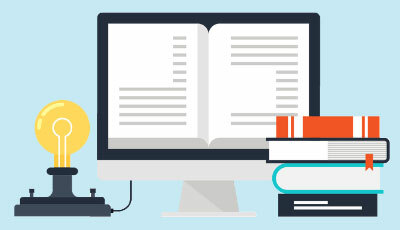 Nobody wants to read lengthy prose on an electronic screen and visual impact created by the page will determine the success of your content marketing campaigns. If you are in the Business-to-Consumer (B2C) industry, the content marketing strategy may be different from that of Business to Business (B2B). In B2C, business content could be restricted to emails, websites, FaceBook while in B2B where the buyers are more serious and analytical, the best strategy may be to share relevant white papers, the invitation to webinars, case studies, blogs, videos, infographics. The content may be more technical and focussed on how it helps business to improve efficiency rather than the branding of the product. Content marketers can no longer ignore the power of social media however good the quality of content may be. According to a survey among B2B marketers, the majority believes LinkedIn generates the most leads while some others felt it was Twitter. 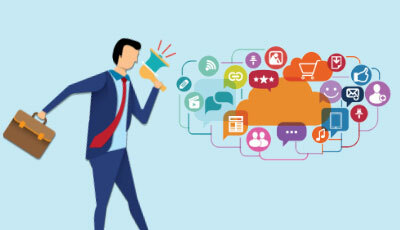 As in content creation, there should be a proper strategy for social media promotion too. Products or services that need visual appeal to promote are better suited for Facebook, while text-oriented promotions are better with Twitter. LinkedIn was found to be good for B2B marketing and corporate image building. In social media, consistency, relevance, entertainment, information are all key factors that determine the success of a campaign. However, since it is easy to set up a web page, it should not end up as an exercise of blindly sharing, updating and liking activity on a daily basis. Ensure that there are only two to three posts per day which are most relevant to your target audience presentation and likely to be shared and discussed. The descriptions should be short, crisp and witty. Now analysts attach much importance to blogging as readers look forward to it for the honest opinion, commentaries, analysis, and forecasts. Blogs are more personal and can be written in the first person while an article in a newspaper or magazine has to follow an editorial format set by the publication. This makes blog writing give more freedom and room for creativity. Blogs should be of high quality, there must be the consistency of views, valuable information, and insights, citation of data and useful case studies. Good quality blog posts have also the benefit of appearing on top in search engine listings. Some analysts point out that important keywords should appear frequently in a blog but with changing algorithms of search engines, it is no longer a necessity. The quality of content and its relevance to the target audience becomes more paramount. Research indicates that longer content (ideally above 2000 words) are more seen and indexed by search engines and therefore big is beautiful when it comes to content in the web. Apart from asking guest bloggers to write for us, we can also guest blog on other sites looking for content related to our industry and gain more visibility to our target audience groups. Just as in any business, getting good feedback from customers and clients are invaluable for success. It is better to engage with the clients on a regular basis to get their feedback and make suitable changes in the content required. It makes sense to leverage the expertise of the client for industry insights. It is possible they are not great content writers, hence somebody should get in touch with them and note their feedback and suggestions. It can be through phone, one-to-one meetings, interviews etc. Content marketing has been successful in both B2B and B2C marketing but requires different strategies. Good content cannot only nurture leads and sales conversion but also help in keeping customers engaged throughout the product lifecycle. Emails and SMS can be utilized to announce new product launches, discount offers, exchange offers, bonus points, reward points, be used for referral marketing whereby the company gives out some incentive for referring friends or acquaintances to subscribe or buy a product. This goes on to prove that content marketing can be of immense benefit to the company on a continuing basis. Unlike a sales pitch or a branding strategy, customers don’t feel compelled to buy but learn, analyze and understand a product before taking the purchase decision. Hence, content is viewed positively by the audience compared to advertising and sales promotional activity. The website remains the most visible public face of any organization and hence great care should be taken to create, manage and update content on the site. There should be sufficient share buttons of social media in all pages for visitors to share content and widen the reach of the marketing effort. Apart from the website which should be mobile friendly with vertical scrolling features, there should be mobile content as net access through mobile is increasing at a rapid pace in many countries. According to Neil Patel, altruism should be reflected in your content rather than a sales pitch. Reach out to a large audience with help on a variety of issues which will keep the target engaged in your blog or site and enable long-term relationships. Therefore, Patel’s QuickSprout blog features several guides to online marketing, SEO, content, blogging and so on. This builds credibility for the business promoter in the industry and tremendous brand value for the company. For bloggers and writers, it is useful if personal experiences and mistakes are shared, as it immediately builds rapport with the readers as they can learn from your mistakes. The important functions of content have to be kept in mind by the marketer- inform, educate, enlighten, help, entertain and engage. It is no easy task to achieve this and hence the growing importance is given to content marketing, social media management, search engine optimization, creating a content strategy, web design, blogging and other ways to reach out to the target audience groups. This has been a guide to Content marketing is a multi-pronged strategy whereby companies need to use emails, newsletters, blogs, and websites to reach the target audience groups. 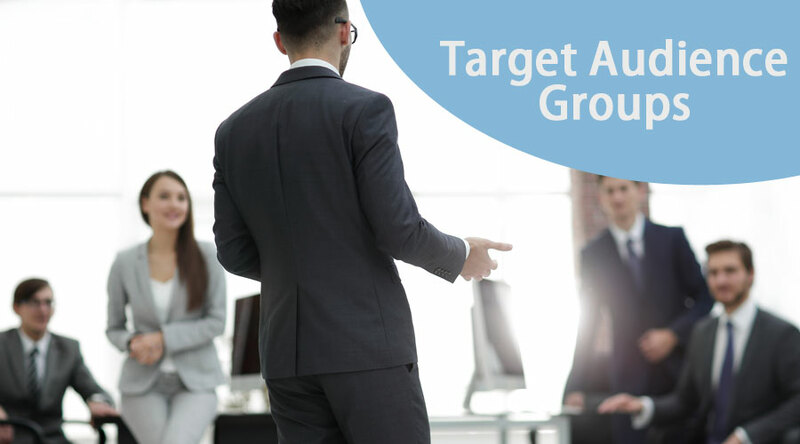 These are the following external link related to the target audience groups.